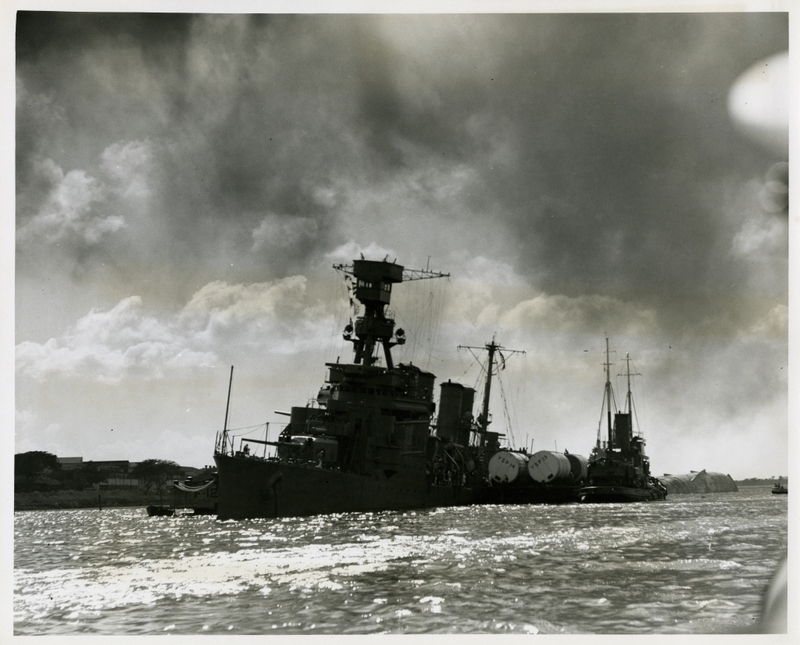 Torpedoed and bombed, the 7,050-ton light cruiser USS Raleigh is held afloat near her anchorage in Pearl Harbor by a barge. The capsized USS Utah is in the background. This photograph is part of a series of photographs from the U.S. Senate investigation of the Japanese attack on Pearl Harbor, 7 Dec. 1941.